50% special discount for the following items for the F1 period 25-27th Sept 2009! WE STILL HAVE TELELENS AVAILABLE FOR F1 RACE!! *Lens hood available upon request. # More spare batts can be neg if required. *All the above comes with adaptor to canon EOS mount upon request. * Call for price quotation. *Total 4 full sets available. Using CLS. 07. Canon speedlite 550EX (with case and 2 sets of long lasting sanyo2500mah, the best canon flash, high output with fast recharge time) FD $25 / SD $20 – now comes with lightsphere. 08. Canon speedlite 580EX (with case and 2 sets of long lasting sanyo2500mah, the best canon flash, high output with fast recharge time) FD $30 / SD $25 – now comes with lightsphere and diffuser stofen omni bounce. 09. Canon speedlite 580EX Mark2 (with softcase and 2 sets of long lasting sanyo2500mah, the best canon flash, high output with fast recharge time) FD $35 / SD $30 – now comes with lightsphere and diffuser stofen omni bounce as well. The mark2 is improved with better build, faster recharge times, higher output, better locking mechanism. 12. Gary Fong Lightsphere clear for SB600/800/580EX available for rental $5 per day. # Price stated for 2 days of rental. 06. Lowepro Magnum AW Black (Big professional sling bag) Able to take 2 Pro bodies and 6-7 more lens. The bag is very good for assignments. 08. Lowepro SlingShot 200AW. Very portable Sling bag, fully packed able to take 2 bodies and 6-7 medium lens. 09. Lowepro Commercial AW. As the name goes, this bag is the biggest lowepro slingbag. Come with extra side pouches to hold more, and lowepro belt. 10. Nikon Canvas bag Dome lookalike, can fit in extra bodies, lens, flash. Modified to be a lot more solid and better cushioning. # Lowepro/tarmac/mekko lens case, waterbottle pouch etc available as well. 01. Canon BP511A and BP514 – This is the reliable high cap original canon batt for 300D/10D/20D/30D/40D/5D. Rental at only $5 for a set of 2 of this batts per day. 02. Nikon ENEL3E – This is the reliable high cap original nikon batt for D100/D70/D70S/D50/D80/D200. Rental at only $5 for a set of 2 of this batts per day. 03. Sanyo 2500mah Hi cap rechargeable AA batts with Sanyo quick charger. PM for rates. 04. Lead acid batt for Jinbei RL660 strobes. PM for rates. 01. Circular polarisers – Available in sizes of 52/62/67/72/77mm, mostly Hoya, some tokina. PM to enquire for rates. 02. Assorted 52mm filters – Have CPL, CS, Soft spot, diffused,R72 IR etc. PM to enquire for rates. 02. Memory cards – Have got Transcend 8GB/16GB 133X . Those renting camera bodies can rent these free. PM for rates. 03. Mac Laptops – PM to check for availability. 03. Victory mid size travel tripod with level check and ballhead. 01. JinBei RL660 portable 600W variable power output strobe lights (Strobes for portraits, studio, products etc) – Large 1.5m octagon softbox and large rectangular softbox available. *New Portable Batteries available for the RL660 as well, enquire. *Cable for charging using car lighter slot available upon request. A total of 4 sets of the above for rent. Enough for the full studio set up of 2 lights from the top and 2 from the bottom. Also available are the large softbox, barndoors, snoots, and multi coloured gels for this small strobe lights. Optional for those renting this strobe. PM to enquire. A total of 4 sets of the above for rent. 03. RentCamera@SG Housebrand 300A 300W variable power output strobe lights (Strobes for portraits, studio, products etc) – large softbox, barndoors, snoots, and multi coloured gels for this small strobe lights. Optional for those renting this strobe. PM to enquire. A total of 3 sets of the above for rent. 04. RentCamera@SG Housebrand 800A 800W variable power output strobe lights (Strobes for portraits, studio, products etc) – Large 1.5m octagon softbox and large rectangular softbox available. 05. RentCamera@SG Housebrand 1200A 1200W variable power output strobe lights (Strobes for portraits, studio, products etc) – Large 1.5m octagon softbox and large rectangular softbox available. 06. RentCamera@SG Housebrand small size portable 3X 1200W variable power output strobe lights set with Power box (This set is fantastic for professional photographers bring to location for fashion shoots etc) – Large 1.5m octagon softbox and large rectangular softbox available. 07. RentCamera@SG Housebrand 3000W variable power output Ring strobe lighting (Fantastic for fashion and product shoots) – Large circular softbox available, Battery operated, comes with frame for mounting camera behind ring strobe and onto tripod. 09. RentCamera@SG Housebrand 1000W variable power output Hotlights (best for products shoot, video shoots, note that most of such lights around are fixed output) – Large softbox and umbrella available. Package 1: 1 X Hotlight unit (with cables), 1 X heavy duty light stand, 1 X Umbrella(choice of type), 1X Wide Angle Reflector mounted on Strobe unit. FD $80, SD $70Package 2: 2 X Package 1 (but one trigger) FD $150. SD $130. 10. RentCamera@SG Housebrand LED Continuous lights PM/SMS to enquiry for more information. 11. RentCamera@SG Housebrand Fluorescent tubes Continuous lights PM/SMS to enquiry for more information. 12. 40X40X40cm/50X50X50cm/60X60X60cm portable foldup light tent. Perfect for product shots, you can get the perfectly even lighting without any shadows. 13. 1.1Metres Portable foldable Reflectors (5in1) $6 Perday (2in1) $4 Perday. Perfect for those doing outdoor shoots, TFCD etc, the reflector is a very small item that immediately improves the portrait shot, those who used will know. # For lights please refrain from rapid continous firing. An additional fee will be imposed if bulb blows and need replacement. 02. Canon EOS 20D w/ BGE2 grip (4X Batt, 8GB) FD $30 / SD $25 Fast 5fps body. 03. Canon EOS 30D w/ BGE2 grip (4X Batt, 8GB)FD $35 / SD $30 Similar to 20D with larger LCD. 06. 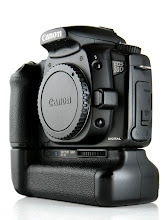 Canon 1D Mark2 (2X Batt, 8GB), PM for quote and availability. 07. Nikon D3 (2X Batt, 8GB) PM for quote and availability. Unfortunately, RentCamera@SG is no longer able to provide Olympus SLR rental services. However, we are constantly improving our Canon and Nikon systems. Thank you. This water case even comes with neckstrap with quick release for easy detachment underwater. Product allows user to easily adjust zoom and focus on lens when underwater. Glass in front of lens is specially coated for filtering UV light, and allowing optimal light transmission underwater. * SPECIAL DISCOUNTED RATES ALSO AVAILABLE FOR GROUP RENTALS OF 3 OR MORE ITEMS TOGETHER. THE MORE YOU RENT, THE CHEAPER IT GETS! WHAT ARE YOU WAITING FOR? Dear all, RentCamera@SG is very proud to be able to advertise our rental services on Clubsnap to a large viewer audience. We were formally the still photography rental branch of a well established rental business locally. We have many years of expertise in the local photography scene, with a large client base, both corporate and individuals. Our establishments include photography, videography, photography training (currently only for corporate clients), retail of photographic accessories, lights, tripods, bags, rental and sales of wedding/evening gowns and rental services. Our rental currently includes Canon/Nikon/Olympus/Zeiss/Leica/Rollei/Pentax/Metz DSLRs/Lens/Flashes, photography studios, gowns, laptops and imported photography magazines. Due to this thread being unable to be updated in the first post. Please always check the latest post for updates. Don’t hesitate to call us at 82237153, PM (http://forums.clubsnap.com/showthread.php?t=345104) or email to rentcamera@gmail.com to get quotations. We are always giving discounts for multiple day or bulk rental. We have spare copies of all the more popular equipement so no worries about the items being out. A02. 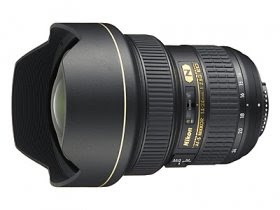 AFS 17-55f2.8 First Day (FD) $40 / Subsequent Day (SD) $35/day *Must have event/wedding lens. F02. Canon EOS 20D w/ BGE2 grip (4X Batt, 8GB) FD $30 / SD $25 Fast 5fps body. F03. Canon EOS 30D w/ BGE2 grip (4X Batt, 8GB)FD $35 / SD $30 Similar to 20D with larger LCD. F06. Canon 1D Mark2 (2X Batt, 8GB), PM for quote and availability. F26. Nikon D3 (2X Batt, 8GB) PM for quote and availability. *Total 4 full sets available for using CLS. G07. Canon speedlite 550EX (with case and 2 sets of long lasting sanyo2500mah, the best canon flash, high output with fast recharge time) FD $25 / SD $20 – now comes with lightsphere. G08. Canon speedlite 580EX (with case and 2 sets of long lasting sanyo2500mah, the best canon flash, high output with fast recharge time) FD $30 / SD $25 – now comes with lightsphere and diffuser stofen omni bounce. G09. Canon speedlite 580EX Mark2 (with softcase and 2 sets of long lasting sanyo2500mah, the best canon flash, high output with fast recharge time) FD $35 / SD $30 – now comes with lightsphere and diffuser stofen omni bounce as well. The mark2 is improved with better build, faster recharge times, higher output, better locking mechanism. G12. Gary Fong Lightsphere clear for SB600/800/580EX available for rental $5 per day. J06. Lowepro Magnum AW Black (Big professional sling bag) Able to take 2 Pro bodies and 6-7 more lens. The bag is very good for assignments. J08. Lowepro SlingShot 200AW. Very portable Sling bag, fully packed able to take 2 bodies and 6-7 medium lens. J09. Lowepro Commercial AW. Brand new bag. As the name goes, this bag is the biggest lowepro slingbag. Come with extra side pouches to hold more, and lowepro belt. J10. Nikon Canvas bag Dome lookalike, can fit in extra bodies, lens, flash. Modified to be a lot more solid and better cushioning. K01. Canon BP511A and BP514 – This is the reliable high cap original canon batt for 300D/10D/20D/30D/40D/5D. Rental at only $5 for a set of 2 of this batts per day. K02. Nikon ENEL3E – This is the reliable high cap original nikon batt for D100/D70/D70S/D50/D80/D200. Rental at only $5 for a set of 2 of this batts per day. K03. Sanyo 2500mah Hi cap rechargeable AA batts with Sanyo quick charger. PM for rates. K04. Lead acid batt for Jinbei RL660 strobes. PM for rates. L01. Circular polarisers – Available in sizes of 52/62/67/72/77mm, mostly Hoya, some tokina. PM to enquire for rates. L02. Assorted 52mm filters – Have CPL, CS, Soft spot, diffused,R72 IR etc. PM to enquire for rates. M02. Memory cards – Have got Transcend 8GB/16GB 133X . Those renting camera bodies can rent these free. PM for rates. N01. Mac Laptops – PM to check for availability. O03. Victory mid size travel tripod with level check and ballhead. P01. Designer wedding gowns. Have got 3 beautiful designs to choose from. PM to enquire. P02. Lace umbrella for photoshoots, available in pink and white. Also available is the traditional Chinese paper umbrella in bright fanciful colours. PM to enquire. P03. Wearable real feather “ Angle Wings ” fantastic for photoshoot for kids. P05. M size Cheong Sams. I01. JinBei RL660 portable 600W variable power output strobe lights (Strobes for portraits, studio, products etc) – Large 1.5m octagon softbox and large rectangular softbox available. * New Portable Batteries available for the RL660 as well, enquire. Enough for the full studio set up of 2 lights from the top and 2 from the bottom. I03. RentCamera@SG Housebrand 300A 300W variable power output strobe lights (Strobes for portraits, studio, products etc) – large softbox, barndoors, snoots, and multi coloured gels for this small strobe lights. Optional for those renting this strobe. PM to enquire. I04. RentCamera@SG Housebrand 800A 800W variable power output strobe lights (Strobes for portraits, studio, products etc) – Large 1.5m octagon softbox and large rectangular softbox available. I05. RentCamera@SG Housebrand 1200A 1200W variable power output strobe lights (Strobes for portraits, studio, products etc) – Large 1.5m octagon softbox and large rectangular softbox available. I06. RentCamera@SG Housebrand small size portable 3X 1200W variable power output strobe lights set with Power box (This set is fantastic for professional photographers bring to location for fashion shoots etc) – Large 1.5m octagon softbox and large rectangular softbox available. I07. RentCamera@SG Housebrand 3000W variable power output Ring strobe lighting (Fantastic for fashion and product shoots) – Large circular softbox available, Battery operated, comes with frame for mounting camera behind ring strobe and onto tripod. I08. Elinchrome 400W Continuous Hotlights: comes with cables, lightstand, reflector, 1 X Umbrella(choice of type). Great for product shoot or video. Per set FD $30 / SD $25 2 Sets available. I09. RentCamera@SG Housebrand 1000W variable power output Hotlights (best for products shoot, video shoots, note that most of such lights around are fixed output) – Large softbox and umbrella available. Package 2: 2 X Package 1 (but one trigger) FD $150. SD $130. I10. RentCamera@SG Housebrand LED Continuous lights PM/SMS to enquiry for more information. I11. RentCamera@SG Housebrand Fluorescent tubes Continuous lights PM/SMS to enquiry for more information. I12. 40X40X40cm/50X50X50cm/60X60X60cm portable foldup light tent. Perfect for product shots, you can get the perfectly even lighting without any shadows. Rented out a few times, without disappointing. I13. 1.1Metres Portable foldable Reflectors (5in1) $6 Perday (2in1) $4 Perday. Perfect for those doing outdoor shoots, TFCD etc, the reflector is a very small item that immediately improves the portrait shot, those who used will know. I have got many other things available for rent but no space to list out. As all can see I have to post this whole list in 5 separate posts. So don’t hesitate to PM for any enquires. Business hours weekdays from 6pm-midnight. Weekends 24hrs. Please DO make appointment before coming. 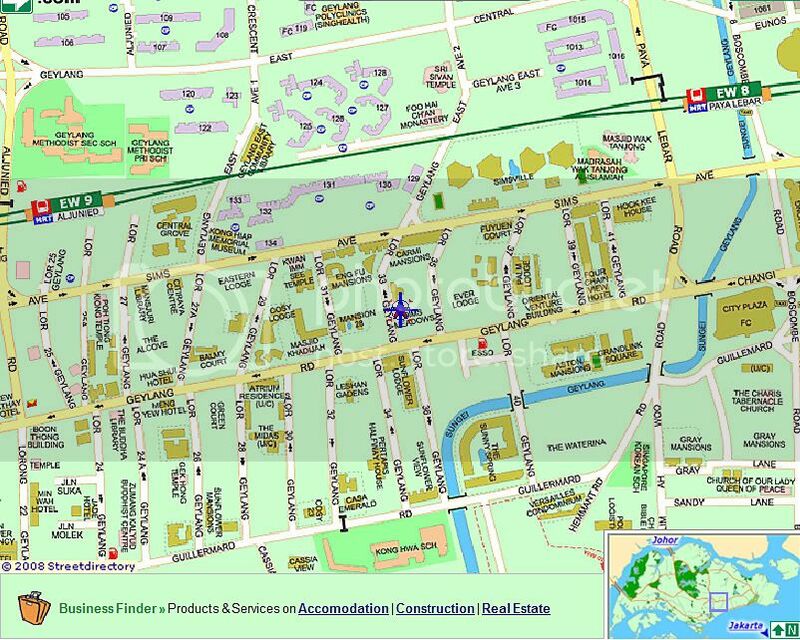 * Alight the 2nd stop after seeing Aljunied MRT on the left if coming from city direction. * Alight the 2nd stop after city plaza then cross the road and you will see Lorong 33. Free Parking for those driving. Call us at 82237153 now. Just search and add us (rentcamera@gmail.com) on facebook and instantly get a Discount voucher from us. $10 value for rentals above $30. $5 discount for any rentals. What are you still waiting for? Special offer for June School Holidays and F1 weekend. Call to enquire.